Well the Missus and I trundled down to Philadelphia this past weekend for the wedding of our nephew Tim and, say, it was swellegant. On the endless drive down there (hey, Friday . . . summer . . . 95 South – nightmare, right? ), we stopped by the Bush-Holley House Museum to break up the trip. The house was built in stages starting in 1728 and has quite a history, but what interested us was the part it played in the Cos Cob Art Colony. From the early 1890s until the 1920s the Holley House was the gathering place for a group of artists and writers who were members of what became known as the Cos Cob Art Colony, the first Impressionist art colony in Connecticut. 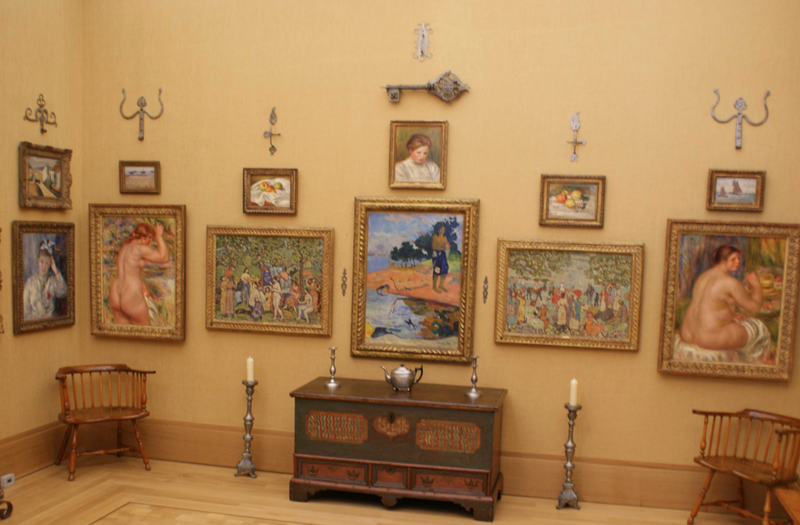 The Cos Cob Art Colony played a major role in the development of American art, because it was here that the leading American Impressionist artists gathered to discuss their work and to teach. Among the early members were Childe Hassam [his Clarissa at right], Ernest Lawson, Theodore Robinson, John Henry Twachtman and J. Alden Weir. We got a lovely tour of the house from Deborah, then we got back on the road and drove. And drove. And drove . . . The next morning we moseyed over to the (relatively) new Barnes Foundation, the staggering collection of artwork acquired by Albert Barnes (46 Picassos, 59 Matisses, 69 Cézannes, a knee-buckling 181 Renoirs, and countless other master works from Greco-Roman art to El Greco) that was formerly housed in a two-story Renaissance-style building in Merion, Pennsylvania, 20 minutes from downtown Philadelphia. The Barnes was established much like the Isabella Stewart Gardner Museum – nothing moves, everything stays the same in perpetuity. 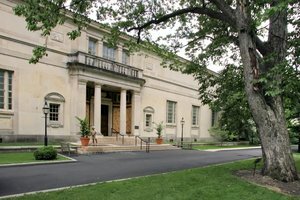 But after a protracted – and extremely bitter – legal battle, the Barnes collection was uprooted and relocated to Benjamin Franklin Parkway, Philly’s Museum Mile, where a new building houses the collection along with two classrooms, a great hall, a restaurant, a gift shop, and an indoor garden. 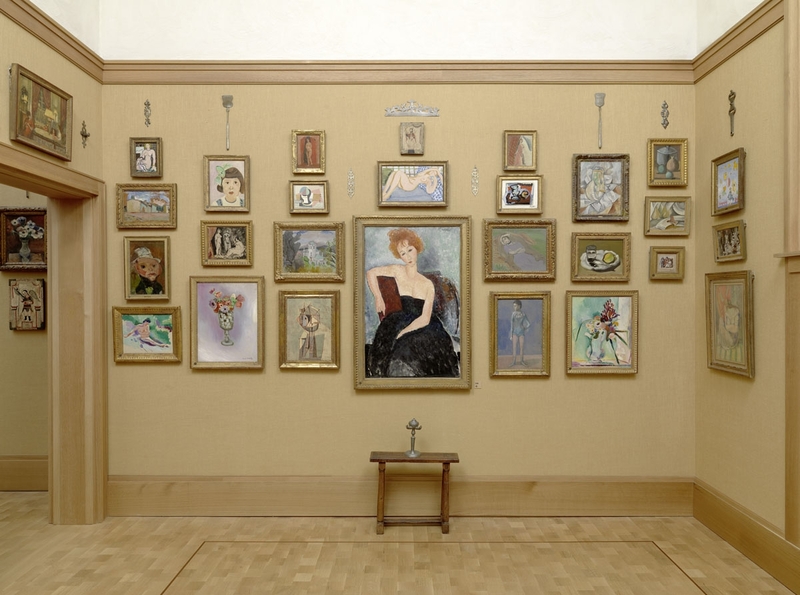 The Barnes Foundation is not just another way to look at art; it is the way artists look at art. 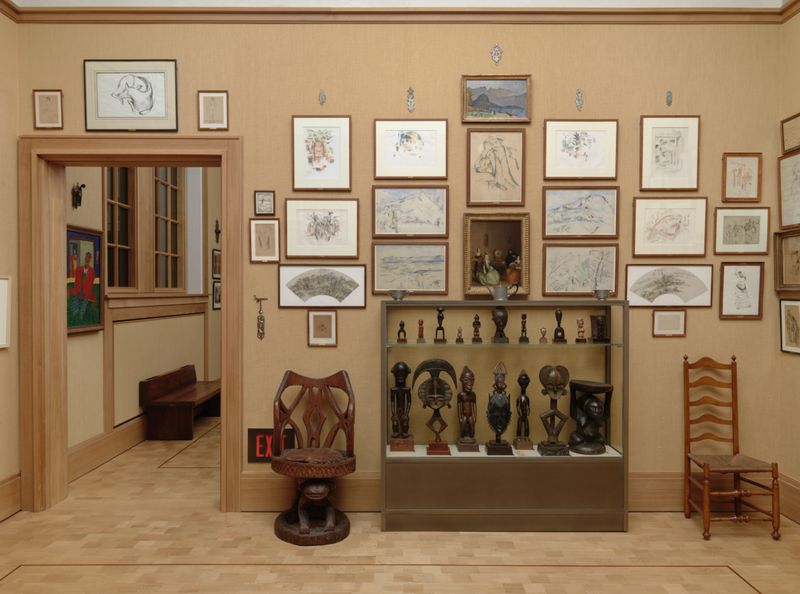 To move the Barnes collection is to inflict havoc on a distinctive museum experience, one designed to get us closer to the minds of art’s makers. To invite in all of the available 21st-century museum amenities and distractions (merely because we can) is to kill the essential spirit of the Barnes. Anyway, here’s a representative sample of the collection. Now, I am nowhere near as smart at the aforementioned art critics, but it seems to me that if the Barnes Foundation had to be moved (the question at the very heart of that whole rumpus), what now sits on Benjamin Franklin Parkway (cost: north of $150 million) is about the best we could have expected. There. That should tick off both sides. Then it was on to the Philadelphia Museum of Art, which has always struck us as truly impressive. 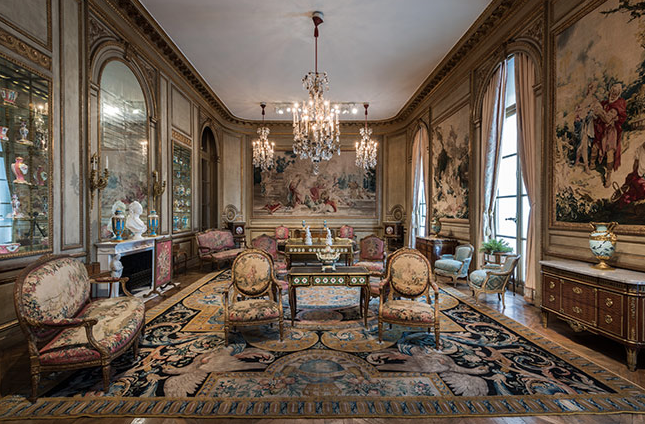 A great collection of European paintings, wonderful sculpture, and major galleries from a Japanese teahouse to this New York town house drawing room. Also currently on view (through September 17th) is the eye-popping exhibit, Wild: Michael Nichols. 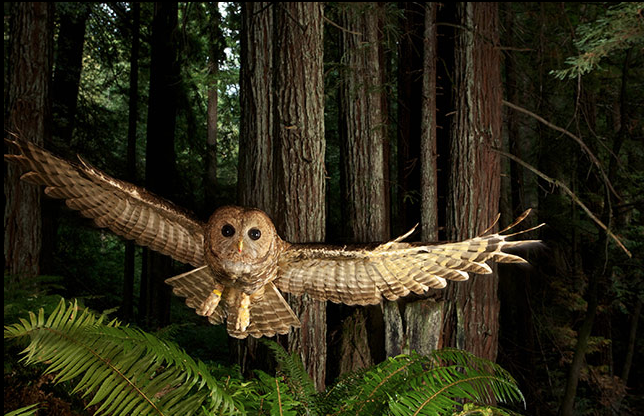 Explore the work of legendary photographer Michael “Nick” Nichols: artist, technical innovator, and ardent advocate for preserving natural habitats. Be transported through the split-second magic of images captured in some of the most remote areas of the world. Nichols’s stunning photographs offer intense confrontations with the power and fragility of the wild and a reflection of our own humanity.For more than three decades, Nichols has ventured to the farthest reaches of the world to document nature’s wildest creatures and landscapes. As an award-winning photographer for National Geographic, he has recorded animals and habitats in locations as expansive as the Congo Basin, the Serengeti, and the American West with an unparalleled intensity. Then it was on to the main event: The splendid nuptials of Tim (my brother Bob’s boy) and Julia, a most delightful couple who tied the knot at the Free Library of Philadelphia. It was a wonderful night and we wish them many years of happiness. The next day we drove home without incident, unless you count that thing at the Joyce Kilmer rest stop on the Jersey Pike. But, hey – that’s life on the road. 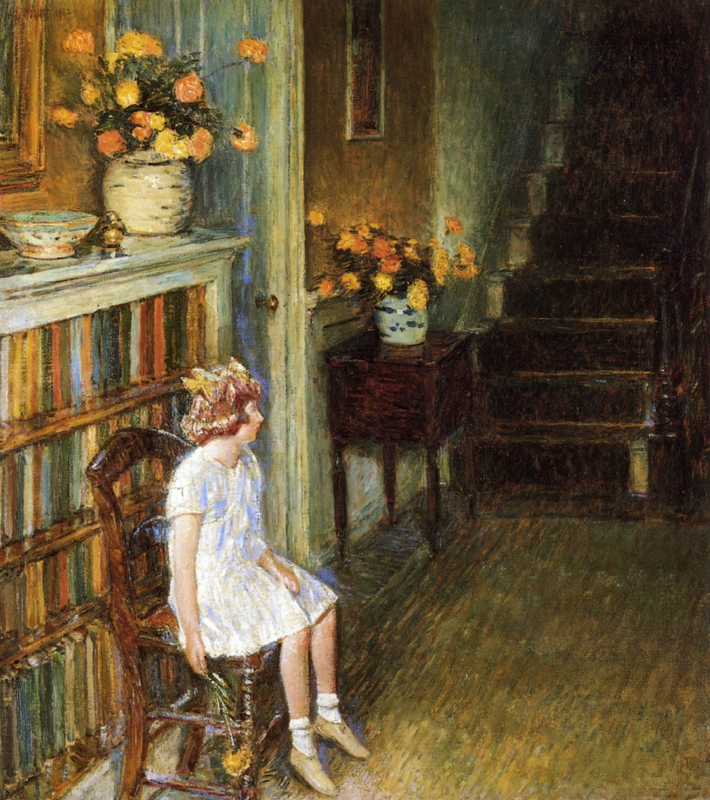 This entry was posted in Uncategorized and tagged Albert Barnes, Brett Miller, Bush-Holley House Museum, Cezanne, Childe Hassam, City of Brotherly Love, Cos Cob Art Colony, El Greco, Ernest Lawson, Free Library of Philadelphia, Isabella Stewart Gardner Museum, J. Alden Weir, Jed Perl, John Henry Twachtman, Lance Esplund, Matisse, New Republic, New York Times, Paul Philippe Cret, Philadelphia Museum of Art, Picasso, Renior, Roberta Smith, Rodin Museum, The Barnes Foundation, The Weekly Standard, Theodore Robinson. Bookmark the permalink. The Barnes was an exhausting experience for me. SO much art in each room. Nearly impossible to take in at one time. Our approach: When you start to feel your head explode, sit down and stare at a Cézanne painting.